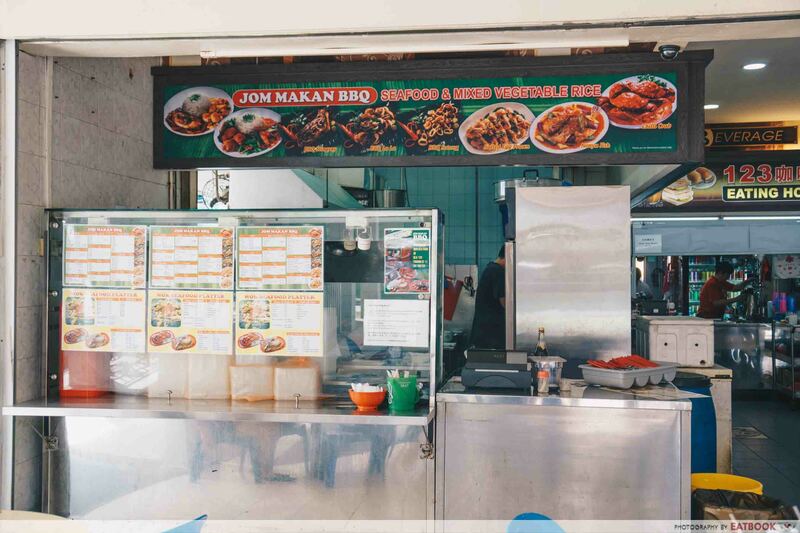 Update (2 February 2019): Jom Makan BBQ Seafood has ceased operations at Yishun. 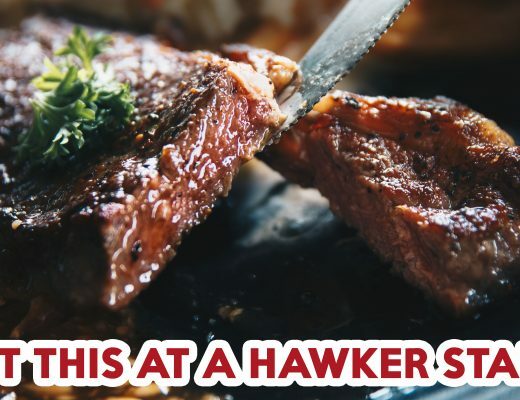 They will be moving to 484 Changi Road on 26 Feb 2019. As a proud Maggi connoisseur, I enjoy being creative with my maggi toppings. But lobster with maggi? 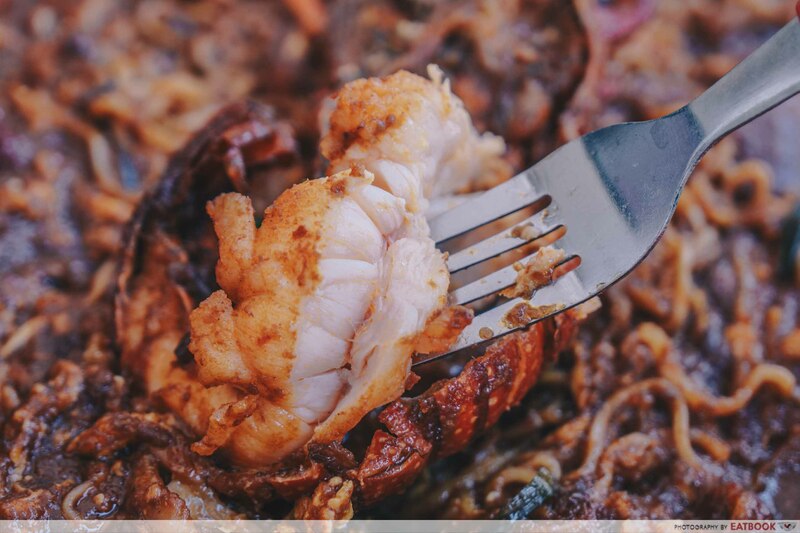 It seems like an absurd combination, but that is exactly what Jom Makan BBQ Seafood, a halal zi char in Yishun, offers. As the chef stir-fried the Boston Lobster with Maggi Goreng ($23) over a massive flame, a distinct chilli fragrance wafted in the air. 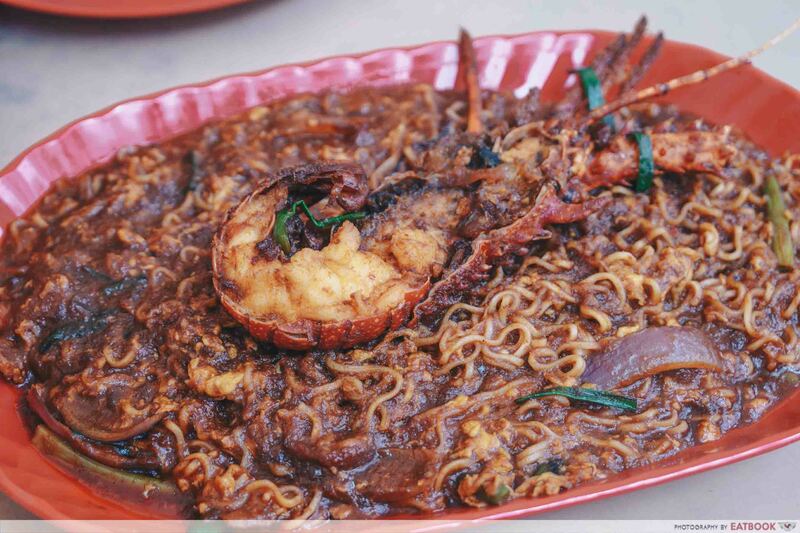 With my expectations raised, I was left underwhelmed by the solitary lobster atop a sea of maggi goreng. Despite the lobster’s impressive shell, there was scant meat underneath it. That said, the fresh lobster meat tore off easily from the shell. Well prepared, it was firm and succulent without an intense briny taste, allowing the lobster’s natural sweetness to shine. I enjoyed the soft noodles gliding down my throat, though I would have preferred if they had been more al dente. The sauce was an addictive blend of sweet, savoury, and spicy flavours, which roused my taste buds to overdrive. The spiciness was a gentle crescendo of piquant flavours that peaked with a strong fiery aftertaste. Infused with the lobster’s light sweetness, the sauce reminded me of chilli crab sauce. I recommend ordering fried buns ($3) as a side, to soak in the savoury-sweet sauce. 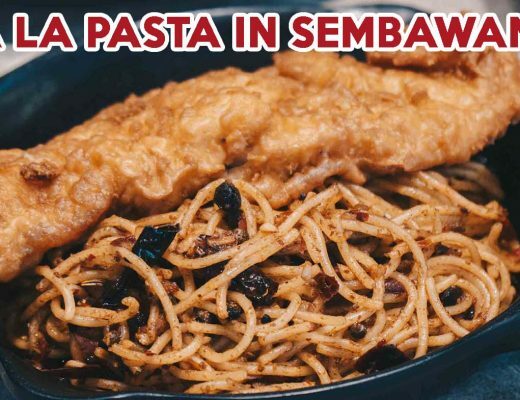 Doused in thick gravy, the noodles were more similar to jjajangmyeon than the drier maggi goreng Singaporeans are accustomed to. However, I believe they could have been more sparing with the oil used, as the sauce’s oily composition gave it an unappetising appearance. If you desire a greater variety, you can opt for their seafood platter instead, where you can mix and match from a selection of seafood, such as scallop ($15) and crab ($22). With crayfish in stock, I opted for the Crayfish with White Bee Hoon ($20). 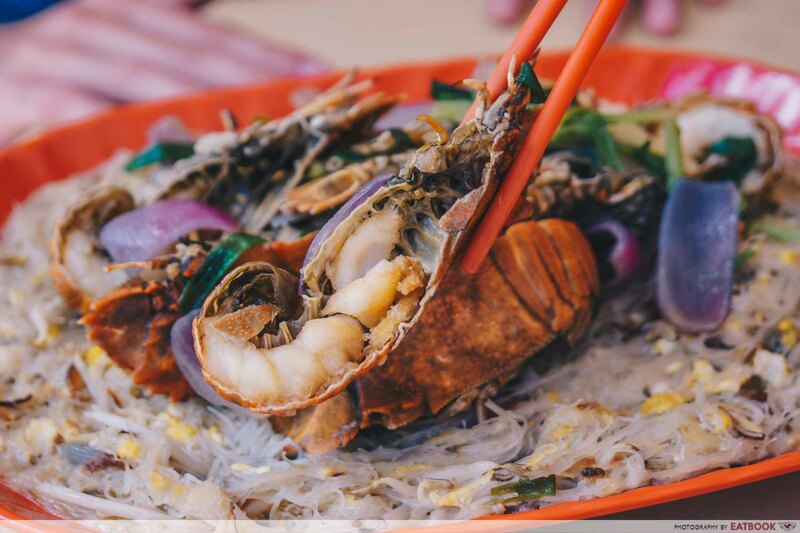 While the generous servings of bee hoon could feed two to three people, the meagre portion of crayfish failed to validate the hefty price tag. Moreover, the crayfish was slightly overcooked, disappointing me with its dry and stiff texture. 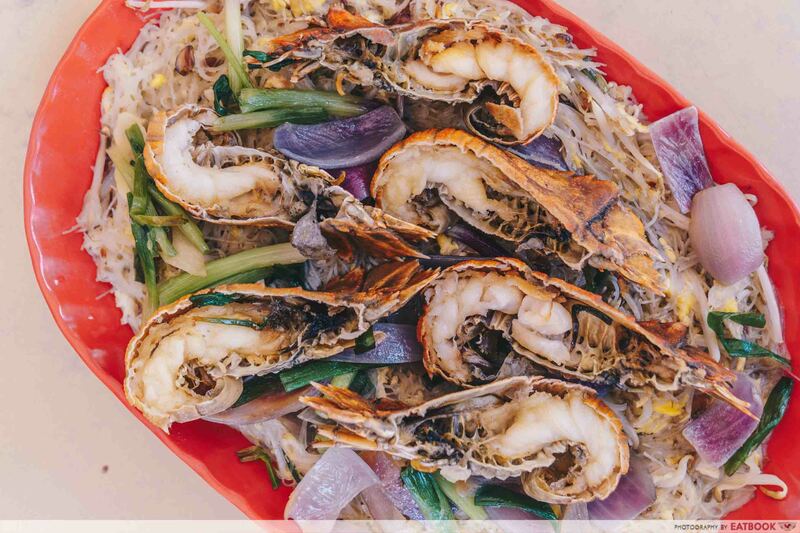 The dish’s surprising redemption came from its white bee hoon. 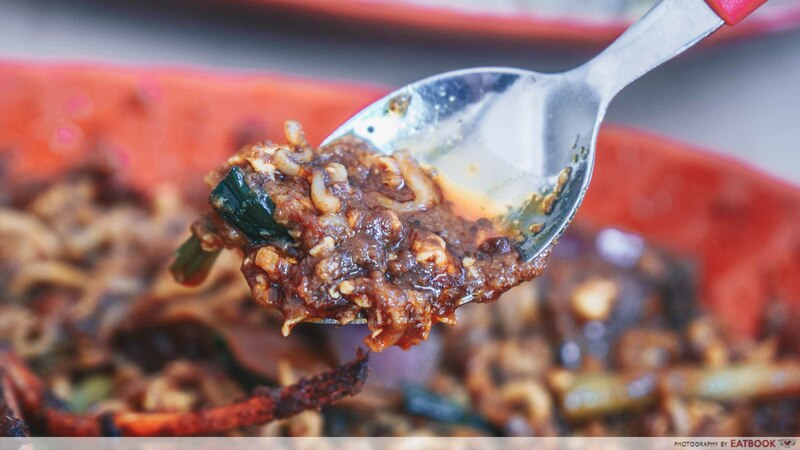 Stir-fried adroitly over an intense heat, the bee hoon carried a touch of wok hei and retained a fluffy texture. Despite its humble appearance, the bee hoon was moderately flavourful. It doesn’t overwhelm with a tsunami of flavours; it coaxes you back for a second bite with its gentle wave of umami flavours. Furthermore, the red onions and scallions provided a pleasant texture contrast which prevented ennui. 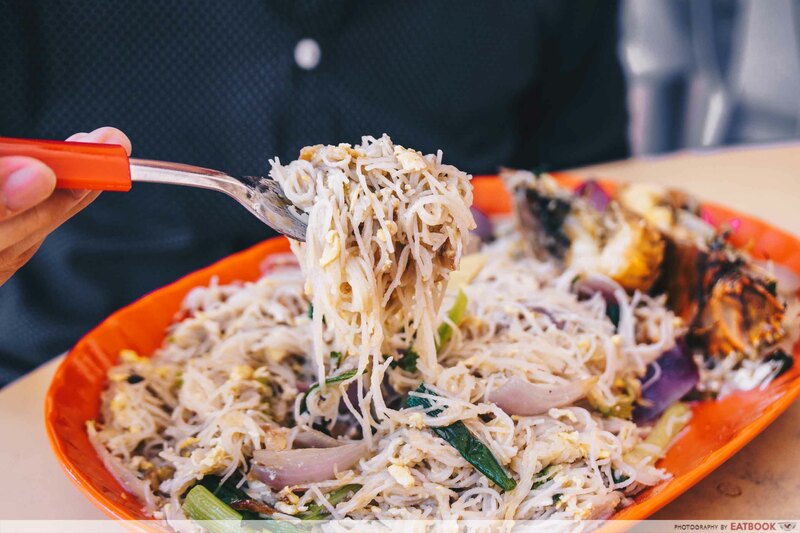 Overall, the white bee hoon functioned as a perfect foil to the flavour-rich maggi goreng. I recommend ordering both items, to have an interchanging mouthfuls of the two dishes. 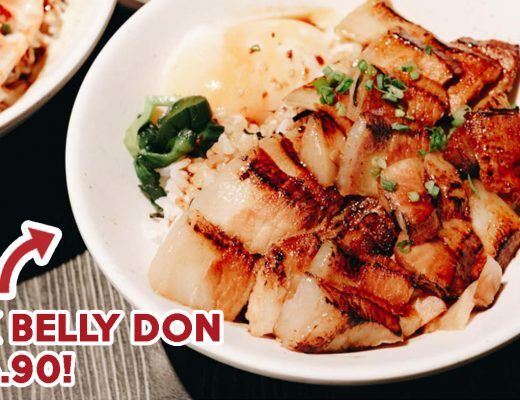 Located in a rustic neighbourhood at Yishun, Jom Makan BBQ Seafood is the ideal place for a peaceful dinner with family. 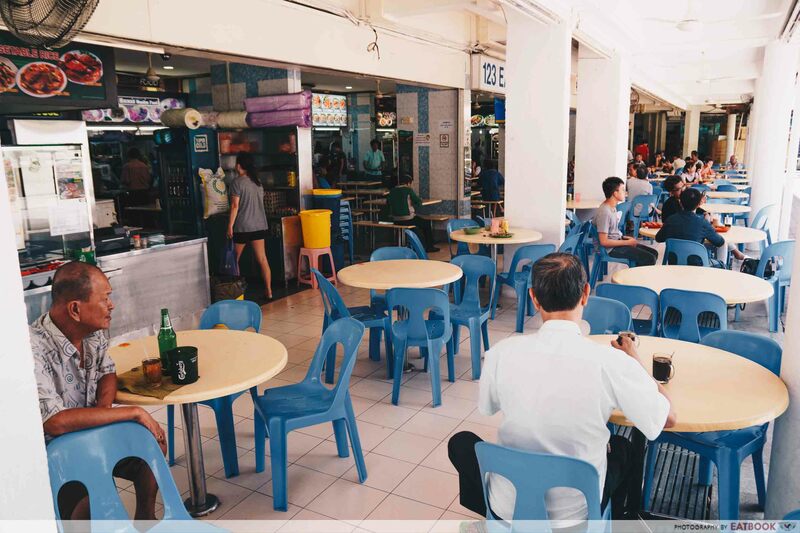 With ceiling fans well distributed throughout the food centre, you will be comfortably seated despite the sweltering heat. 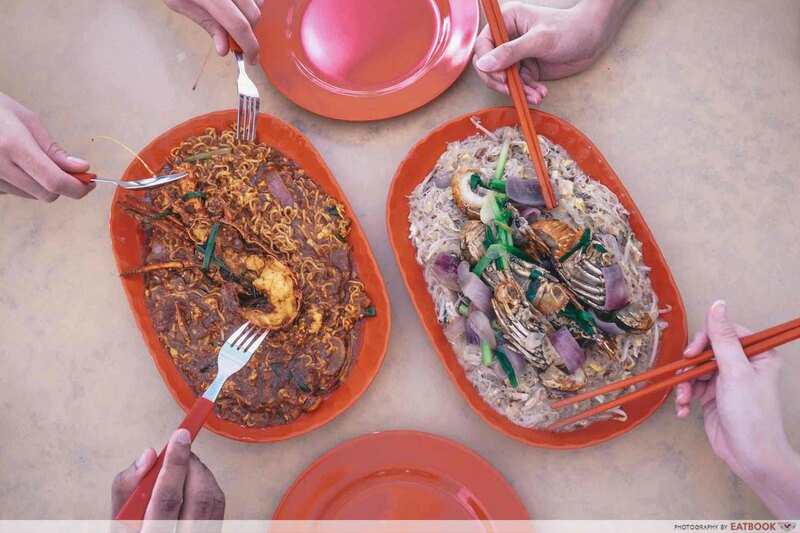 Jom Makan BBQ Seafood offers decent zi char, and stands out with the delivery of its noodle dishes. 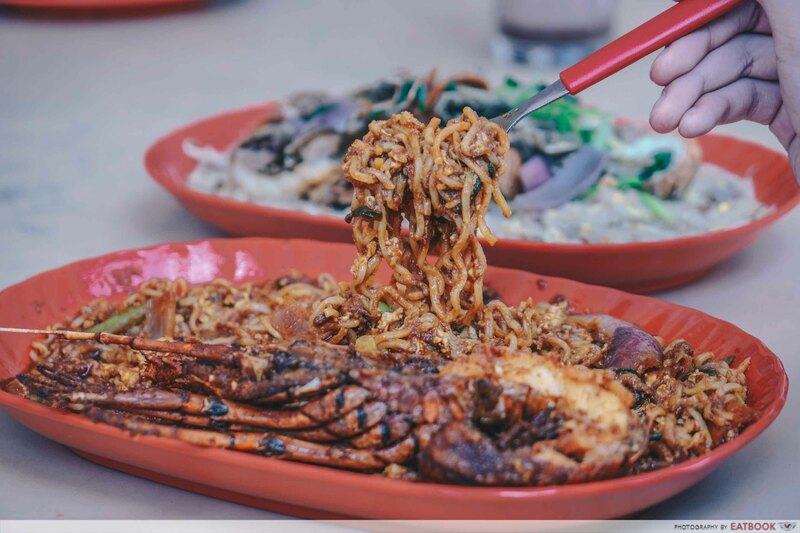 However, unless you are seeking an injection of novelty into your food, Jom Makan BBQ Seafood is not an eatery worth travelling from Pasir Ris to Yishun for. If you are searching for more affordable halal zi char, check out our review of GLC Restaurant! Jom Makan BBQ Seafood is a halal eatery.